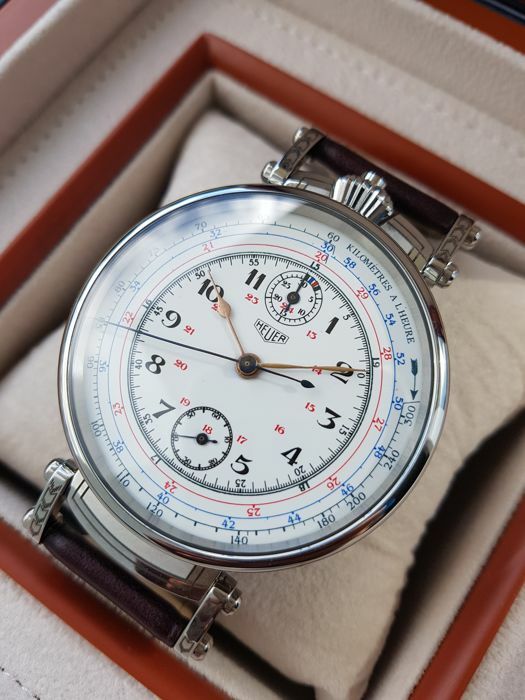 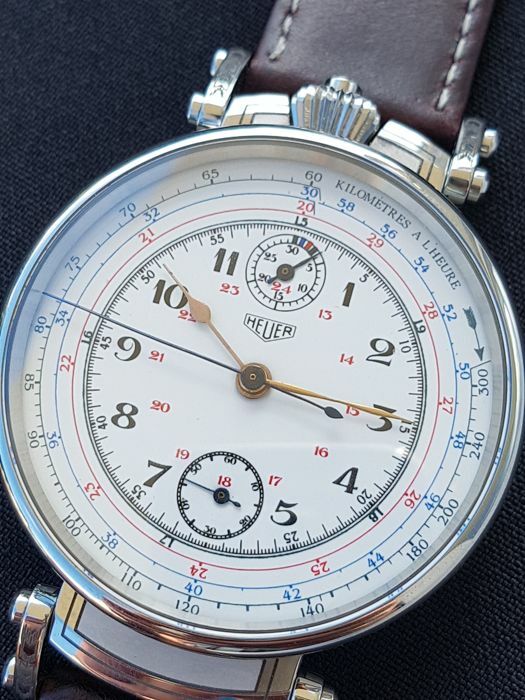 Here is for auction rare Heuer chronograph marriage watch in excellent and unusual custom made, completely engraved stainless steel case, with top grade Valjoux movement and stunning racing dial. 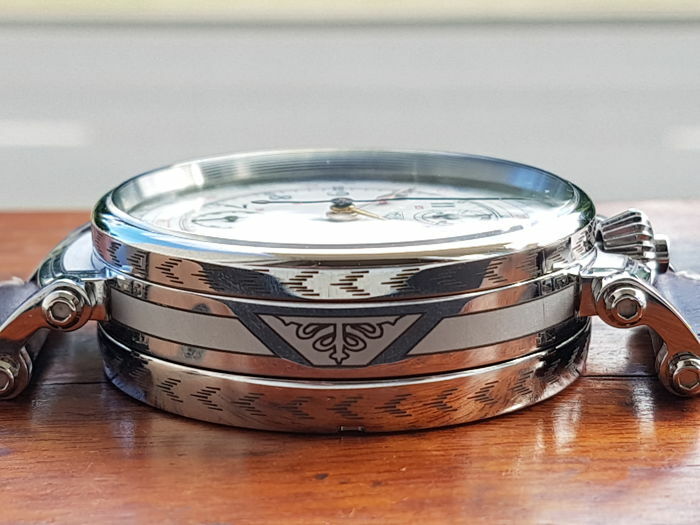 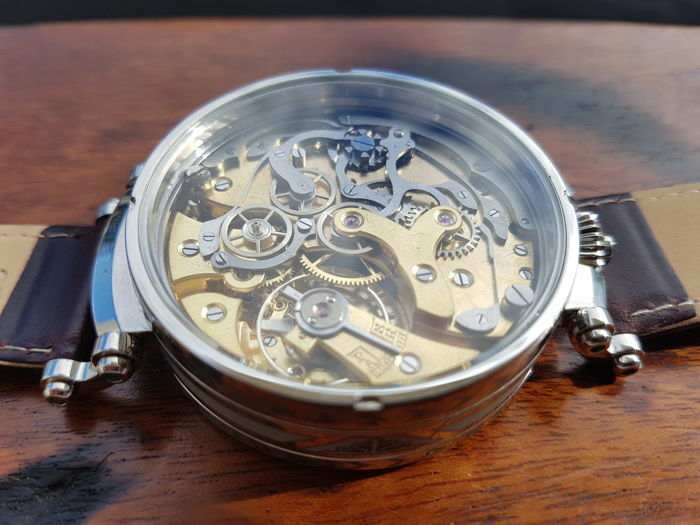 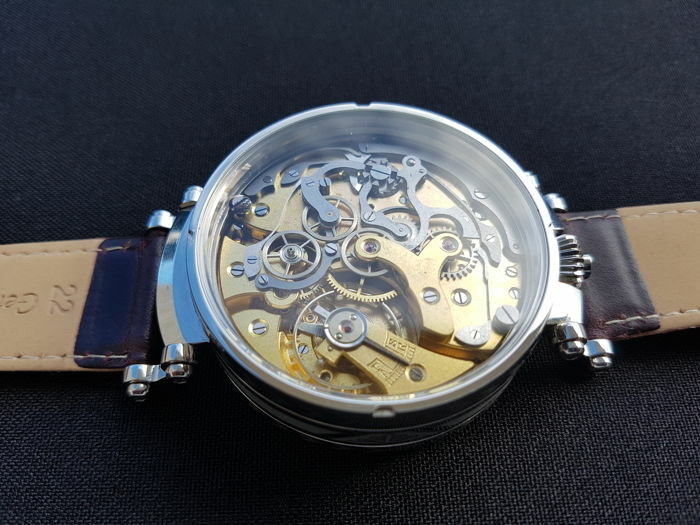 Case with moveable lugs and glass transparent screw-in case back is special-custom made for this watch, condition is brand new and watch was never been worn. 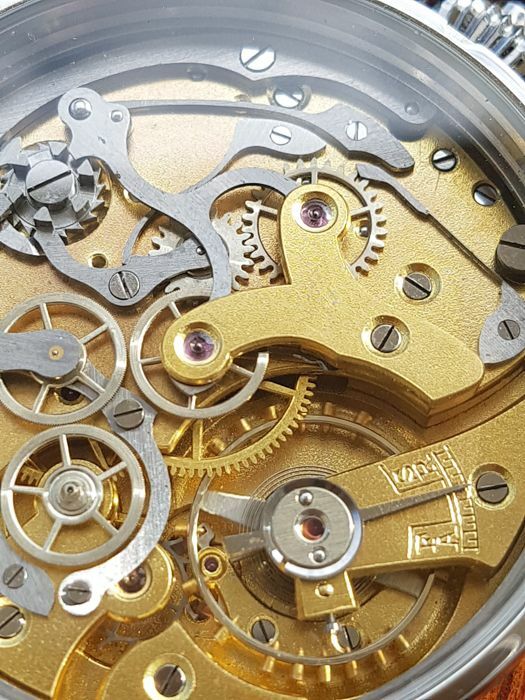 Front crystal of the watch is sapphire- scratch resistant. 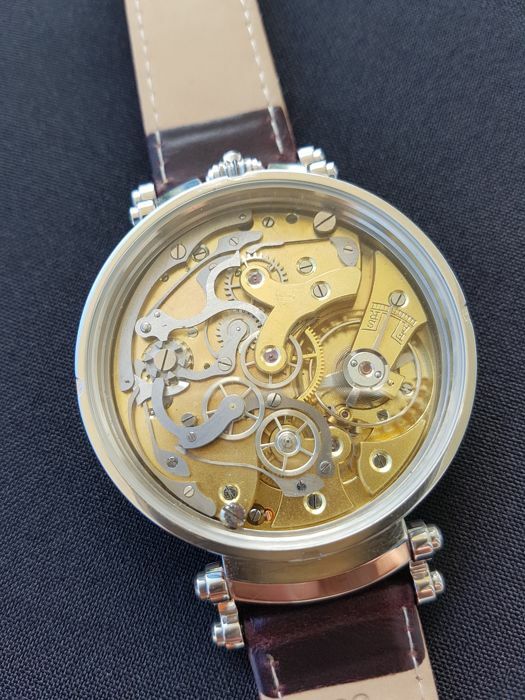 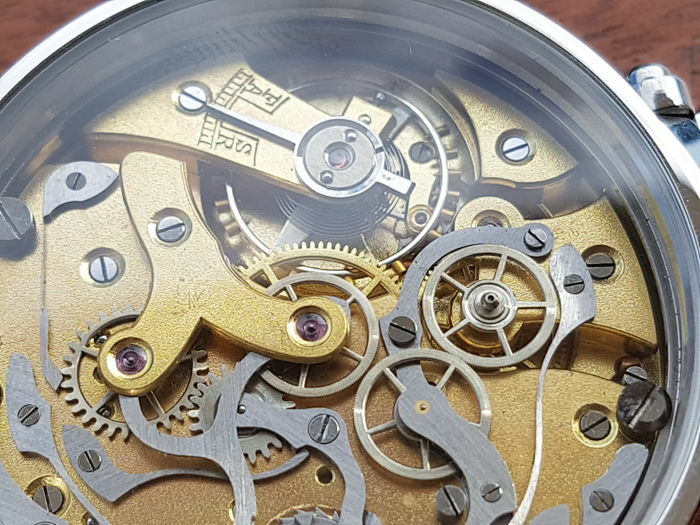 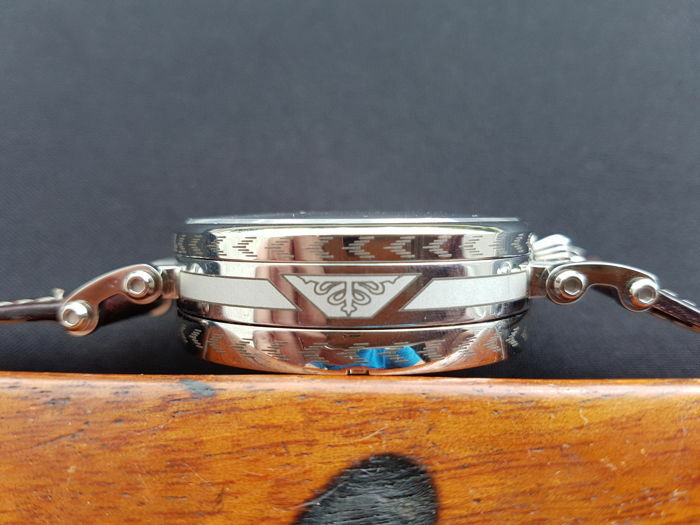 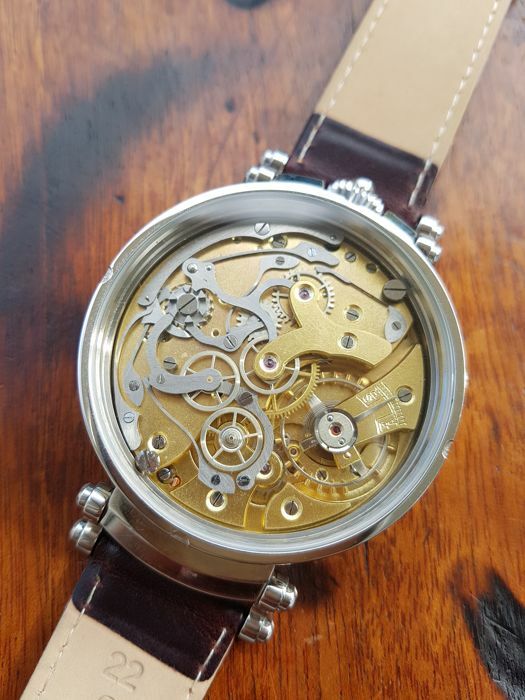 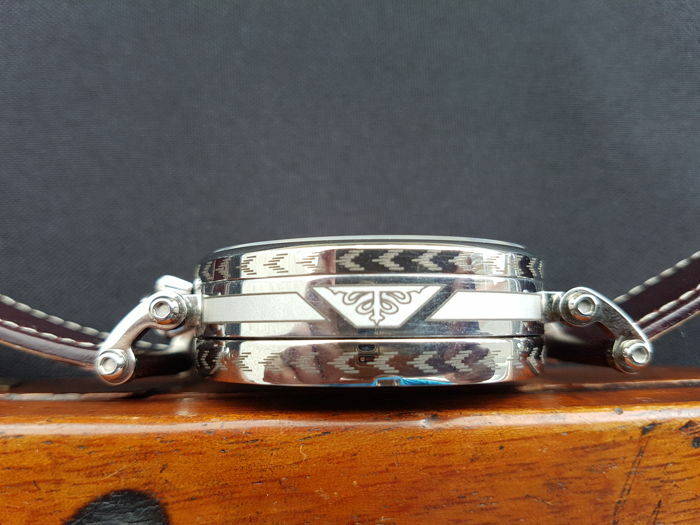 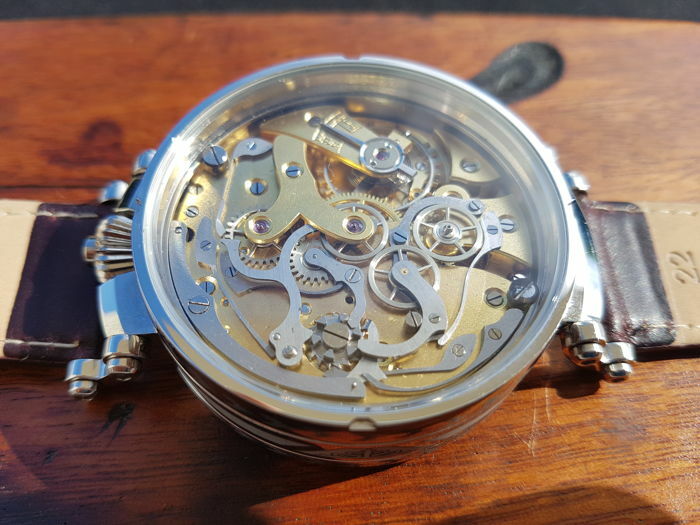 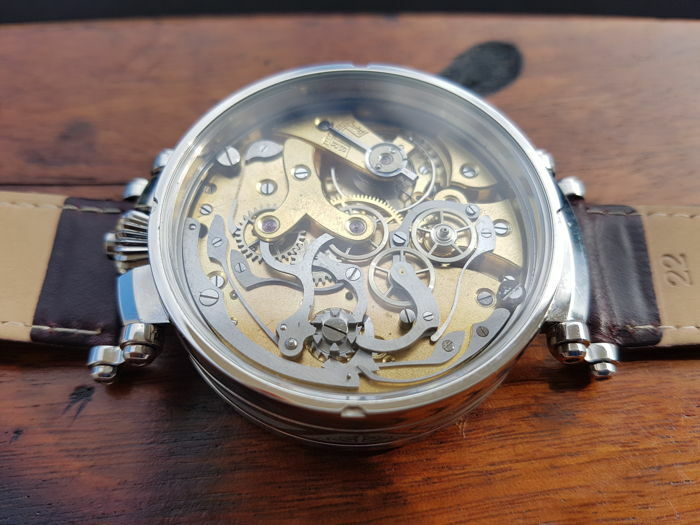 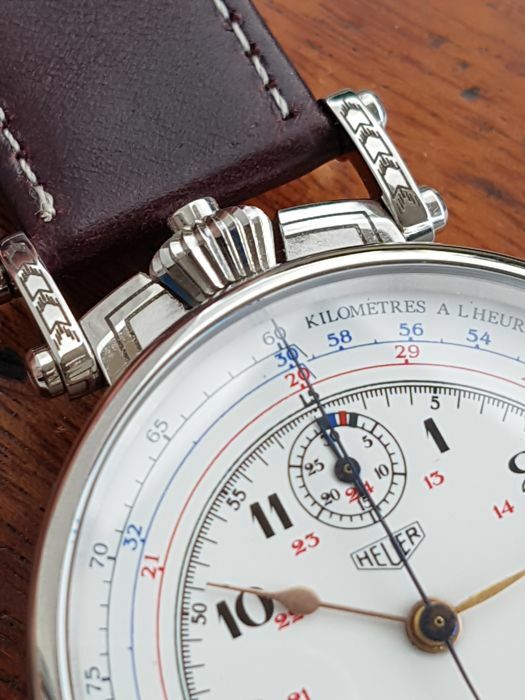 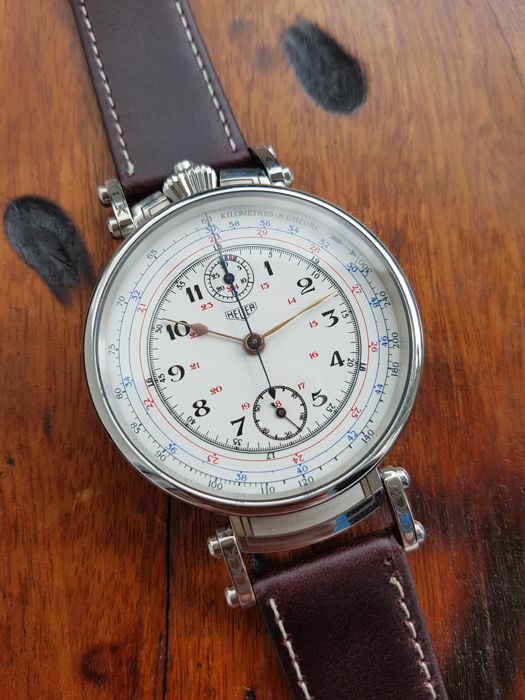 Beautiful high grade movement cal.Valjoux 6KF was checked by a watchmaker when recased, all chronograph functions working perfectly, watch keeps accurate time very good for a vintage timepiece. 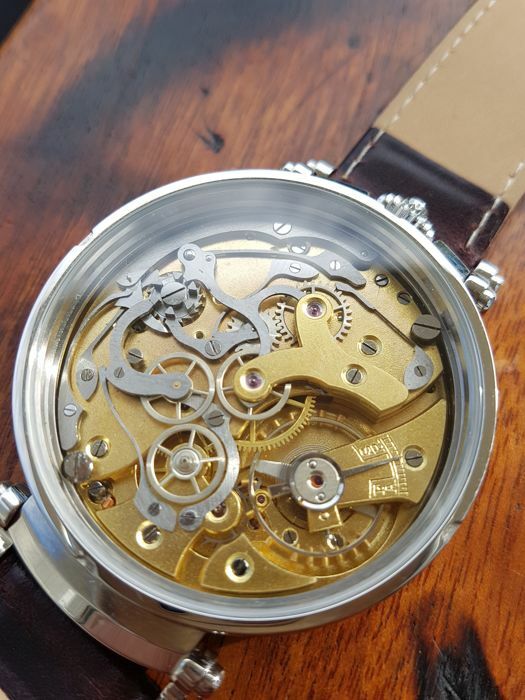 Movement have 3 month watchmaker warranty. 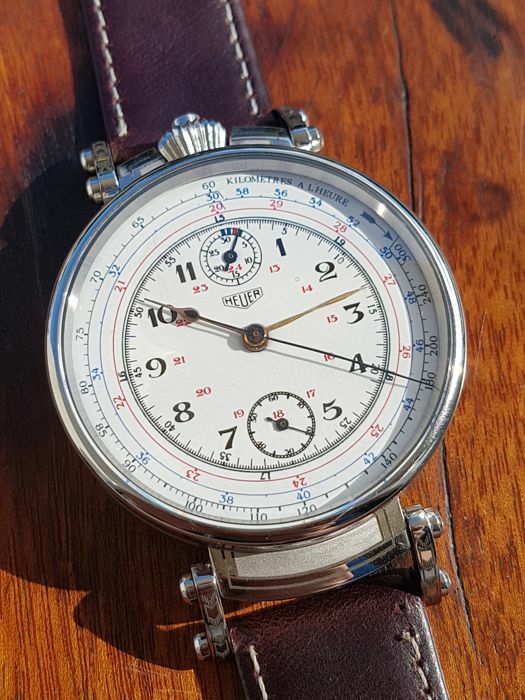 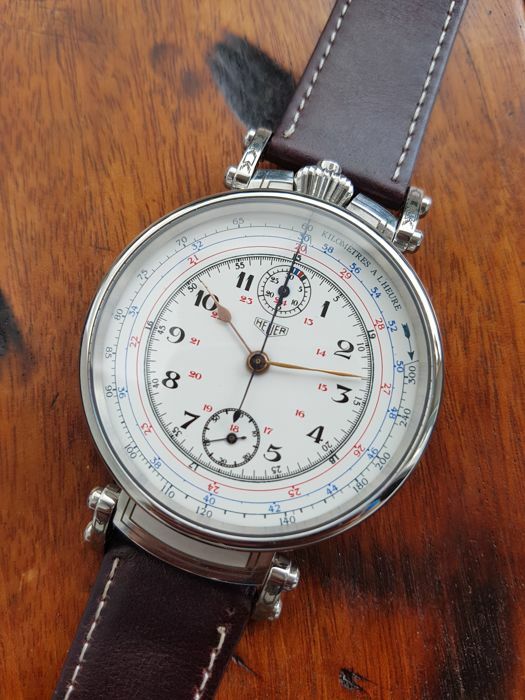 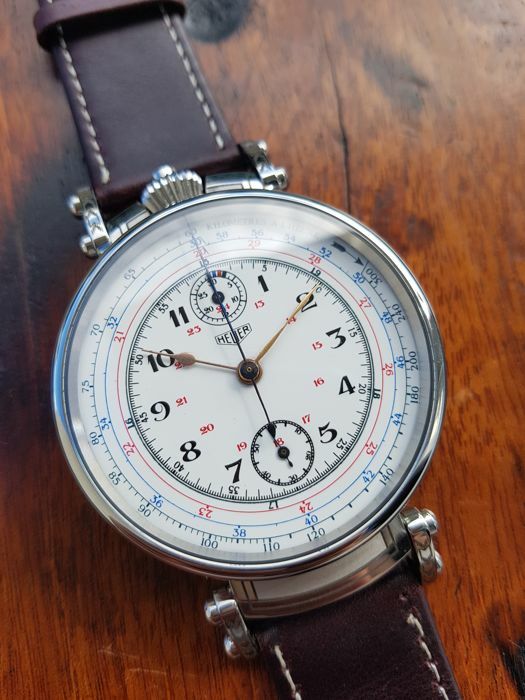 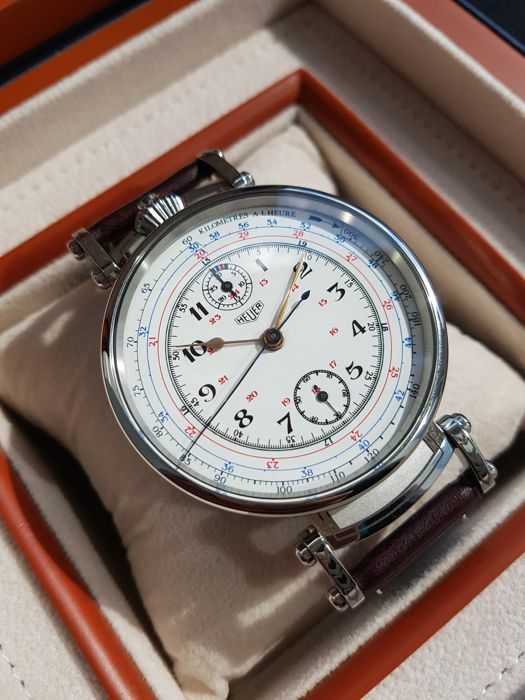 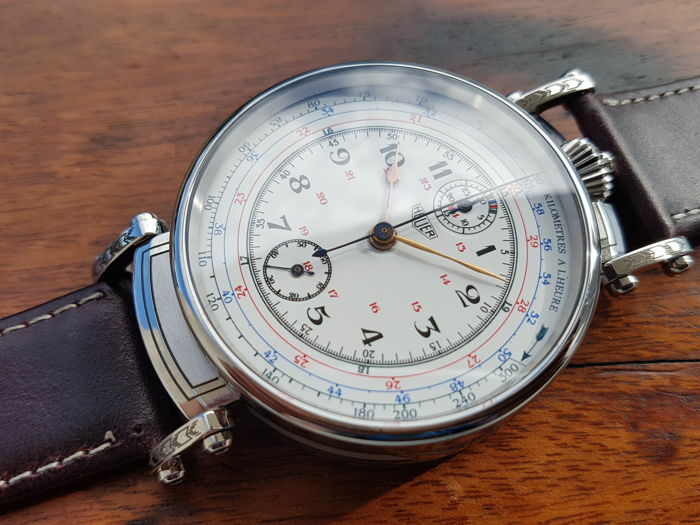 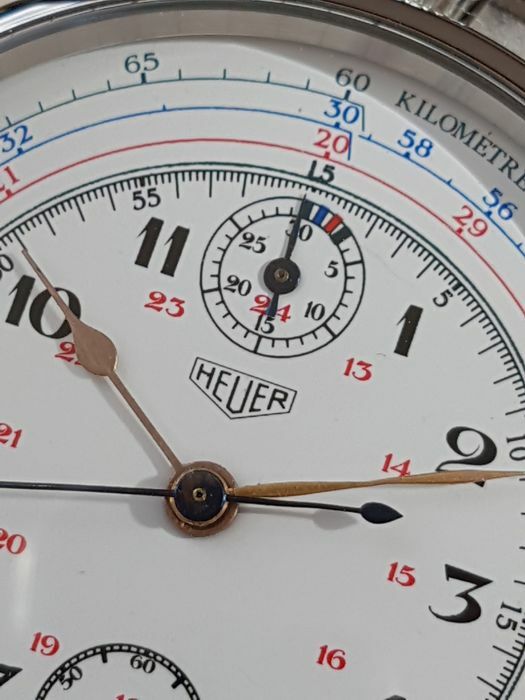 Stunning racing porcelain dial with arabic numerals is in perect condition, genuine hands are in excellent condition, crown is brand new and was fitted to the case. 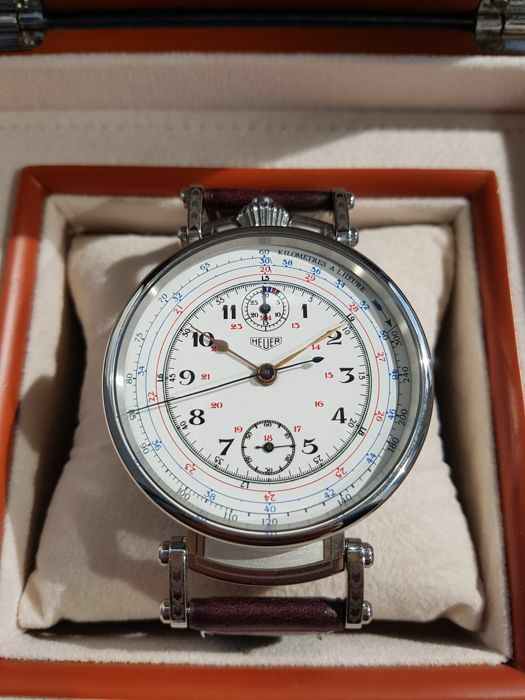 Watch comes with nice vintage wooden box(not the one from photos) and new brown strap of total length circa 19 cm-fits big wrist.